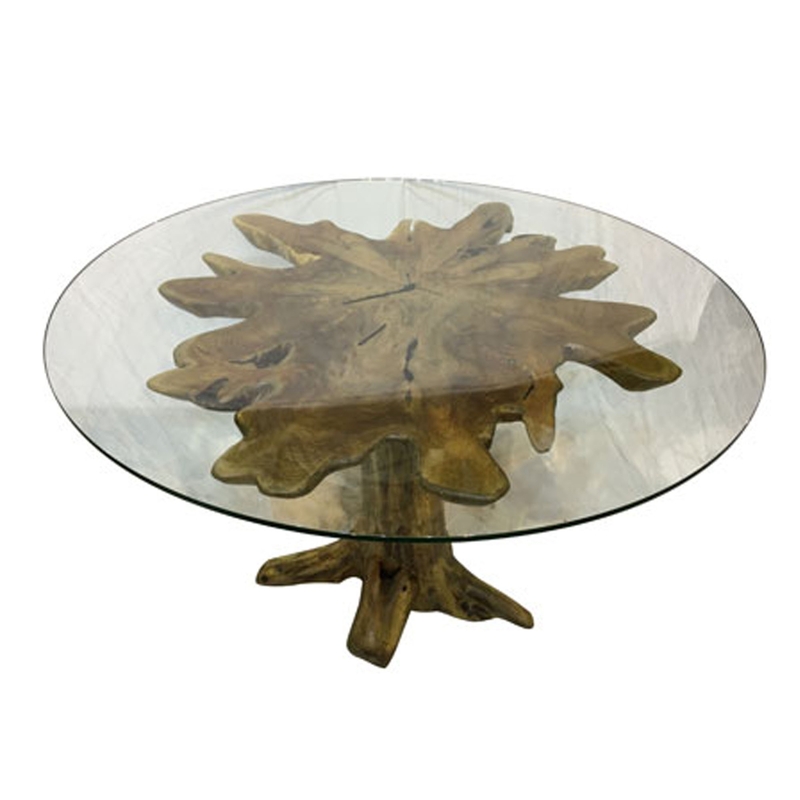 Welcoming this stunning Teak Root Mushroom Solid Dining Table Round Glass Small. This dining table features a mushroom design base, holding up a rounded glass top. The base is created from a combination of teak root and wood, creating a very original style that will act as an interesting focal point for any home.